A carousel of colors! A mix of hyacinths add instant springtime cheer! 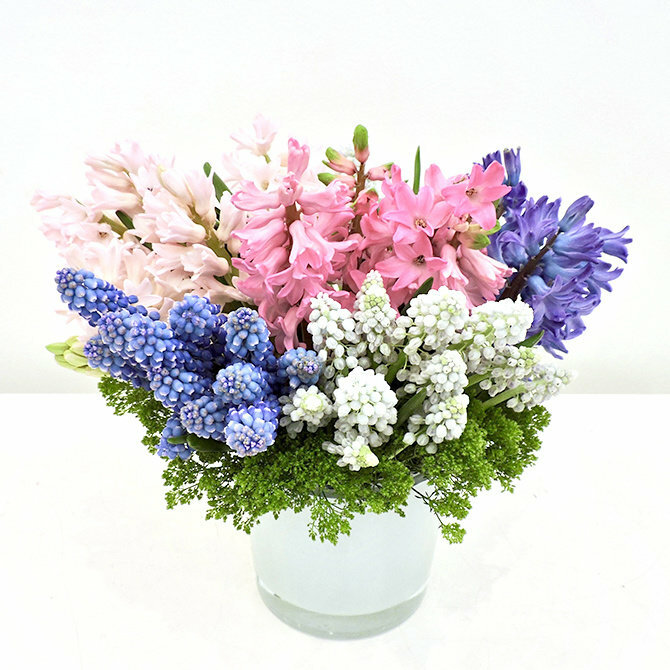 Brighten someone’s day with this colorful arrangement presented in a simple white cylinder.